A Yerevan court has remanded former President Robert Kocharyan into custody, the Armenian News-NEWS.am correspondent reported. This decision was made by Judge Vache Margaryan, who granted the relevant application of the pre-trial investigation body. Earlier criminal charges were pressed against Kocharyan over the March 1 case, and prosecutors requested a court to issue an arrest warrant. 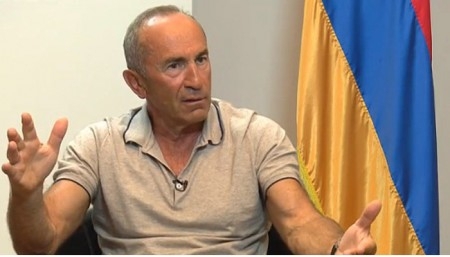 Kocharyan is charged with paragraph 1 of Article 300.1 of the Criminal Code (breaching Constitutional order).